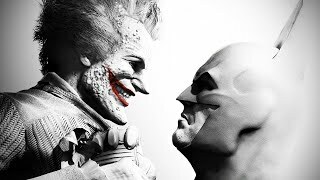 Can Rocksteady top that insane boss fight from Arkham City? One intrepid Redditor has been digging through Arkham Knight's many, many files over on PC, and has come back with many details regarding content that'll most likely end up in future DLC. User kirknetic reported that they'd found a list in the back-end consisting of Killer Croc, Mad Hatter, Black Mask, Mr Freeze, Ra's al Ghul and little-known fan-favourite Prometheus, all most likely set to fill out the ranks of the upcoming Season of Infamy pack. Right now there's not been any information from Rocksteady themselves as to the specifics of this content (other than asking for £32.99 from consumers to get it as part of the Season Pass), but we do know it's a mini campaign focussing on Batman as he attempts to rid Gotham of even more supervillains. In addition, those feeling short-changed by the literally 10 minute-long Harley Quinn and Red Hood DLC pre-order packs will be glad to hear the latter looks to be making a return in more missions, alongside Robin and Nightwing. Labelled in the code with "Play as the lethal vigilante Red Hood, and learn to master his unforgiving brand of justice" - it should be a continuation of what everyone who initially coughed up the extra cash was expecting to do more of first time round. Let us know what you think of these characters being held back for pricey DLC, and whether that sways you on making a purchase or not!